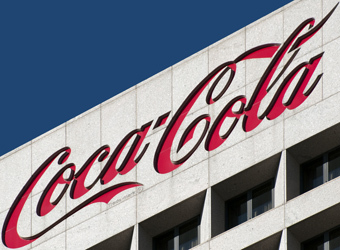 Coca-Cola is stepping away from a closed, protective approach to innovation in favour of open methods such as crowdsourcing and co-creation for its new product development programs. The company’s global director of innovation, Anthony Newstead, revealed initiatives had been put in place to flatten the hierarchy, elicit the sharing of ideas internally and use Facebook to ask the public for ideas, according to Marketing Week. Speaking at an industry conference, Newstead said Coca-Cola was going “through a phase of risk awareness rather than risk aversion”, modernising its secretive culture to foster more of a “sharing formula”. The company has introduced in-hose social networking tool, Chatter, to enable staff to share ideas locally and globally. The process of securing buy-in from senior executives and flattening the hierarchy of the business did not come without its challenges, Newstead revealed. “You need to have a good way to communicate for that to work and email is not it: social collaboration is the way to go,” Newstead said. The business is also working with customers to identify ways it can enhance communications, and bring the public into its product development pipeline. Coca-Cola recently launched a Facebook campaign to ask its 50 million plus fans to suggest an invention, cause or social app that could spread ‘happiness’. “We have quite a secretive culture – we have a secret formula – but we are looking at ways to connect more people with the company … to make our walls a little bit more translucent,” Newstead said.